Dulce de leche — or a sweet, milky, caramel sauce in general — is something I never dreamed of being able to have once I went dairy-free. 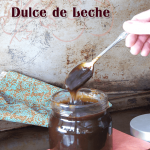 I was actually surprised though how easy it was to convert a traditional recipe into a vegan dulce de leche! It’s really one of the easiest gluten-free vegan things I’ve ever made, and I dare say one of the most delicious too. 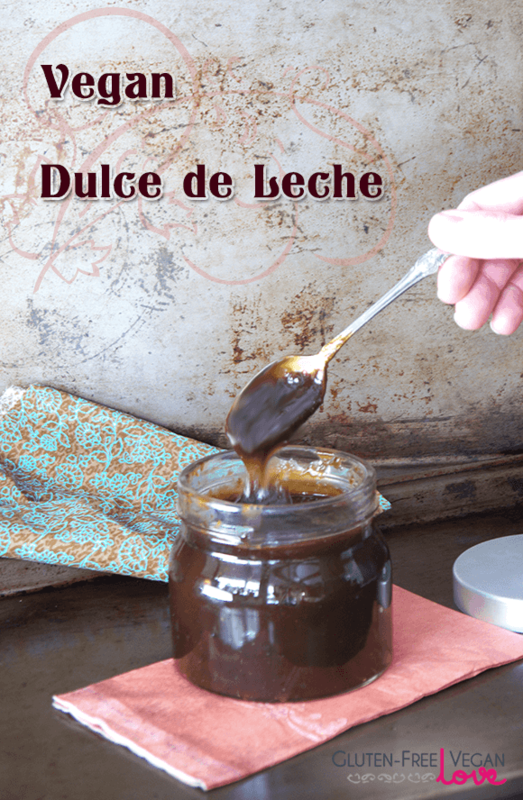 Dulce de leche and I go way back — I grew up eating this stuff straight out of the jar, but I’ve since matured into using it in cake recipes, on ice cream, and as a spread (though you may still catch me with a jar and spoon in hand occasionally… ;) ). Note: you’ll need to make this when you’ve got a few hours on hand just because you need to stir the pot occasionally, but other than that it’s really not a fussy recipe at all. Place all ingredients in a pot or a large sauce pan (a deeper pot works better in case of accidental boiling over). Bring to a low boil (watch out that it doesn’t boil over — this thing can bubble up pretty quickly! ), stirring occasionally. Reduce heat to low and leave to simmer for 2 1/2 – 3 hrs, stirring occasionally. Somewhere between the 2 and 3 hour mark keep a closer eye out on the mixture until it looks and feels like it’s got the right thickness and consistency. It should reduce roughly by half by the time it’s ready. When it’s at the right consistency, remove from heat and transfer to a glass jar. Allow it to cool at room temperature. Store in the fridge if you’re not using it immediately. You can prepare this recipe a few days in advance if you’re planning on using it in something. The mixture thickens up slightly when it cools, and quite a bit more if stored in the fridge. So if you want to use it as a vegan caramel sauce for an ice cream, let it warm up a bit at room temperature for a few hours. If you want to use it like a spread, then it’s fine straight out of the fridge. 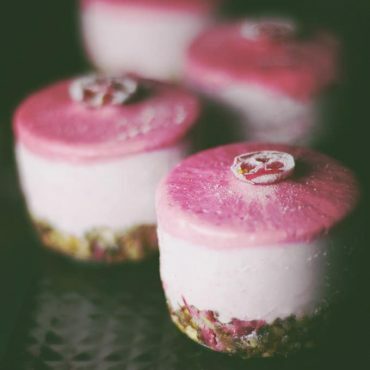 If you want this to be a very thick mixture, like if using inside of a cake layer or if you just prefer a thicker (non-runny) spread, you may want to thicken it even further by adding 1-2 tbsp arrowroot and 1/2 – 1 tbsp coconut flour in the last hour of cooking it. To add the thickener you’ll need to make a slurry first so as to avoid arrowroot and flour clumps in the dulce de leche. The way to add it in is to first mix the arrowroot and coconut flour in a separate dish with a little bit of water (or more non-dairy milk). Whisk it well together until all the lumps have dissolved and then add this paste into your dulce de leche mixture and mix it thoroughly. The dulce de leche sauce will begin to thicken within a few minutes of whisking it on the low heat. Omit coconut flour if you want the mixture to look more gelatinized, and just use arrowroot alone. This post contains an affiliate link for the sucanat I used. Oh boy, I really hope i can make this one right! Also, does this recipe lasts 6 days in the fridge? My non-vegan friend tagged me in a pie recipe that has three layers, and two are super challenging : banana, dulce de leche, banana, anda hazelnut/chocolate spread. I also hope profoundly this doesn’t taste like coconut. Gotta impress those non-vegans so they can’t say bad about vegan food. I’ll shop for the ingredient in the morrow and bake’m in the afternoon. As RuPaul would say “Good luck, and don’t f* it up”. Hi Suzanne. I wonder if it’s cooking on too low a heat? I would turn up the heat — it still needs to be cooking while “simmering” in order to reduce. Hi Courtney, thanks :) It should be good 2-3 weeks refrigerated. Or you can freeze some of it for later use. 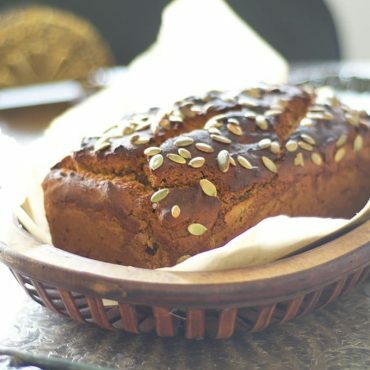 Heh — you dug out such an oldie, Emma — one of the oldest recipes on the blog :) Hope you like it! Do you think you can put all of the ingredients into a crock pot like you would if you were turning dairy sweetened condensed milk into dulce de leche? Hi Samantha. I think that would work well, but I never actually tried it. I just don’t see why it wouldn’t work. I’d just stir it occasionally. If you try it out, I’d love to hear how it goes.